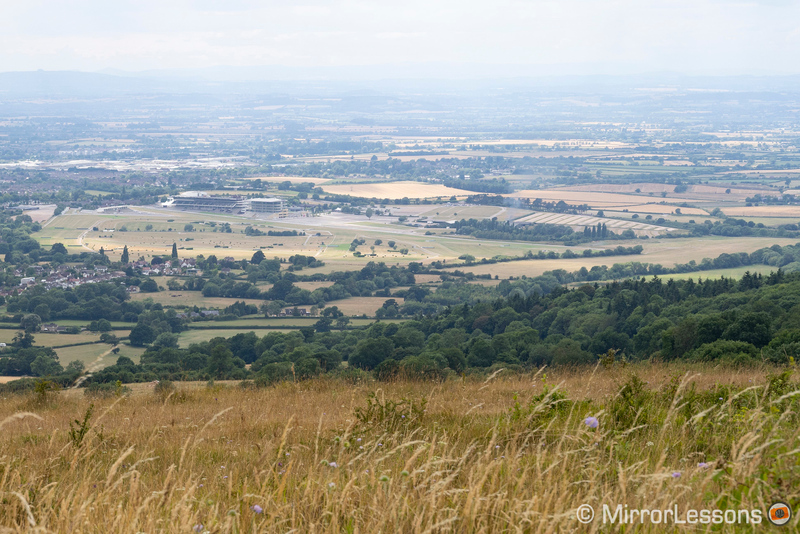 On the way home from our week-long holiday in Somerset, we decided to make a detour to Prestbury Hill near Cheltenham, the site of one of the best butterfly conversation sites we’ve come across so far in the UK. 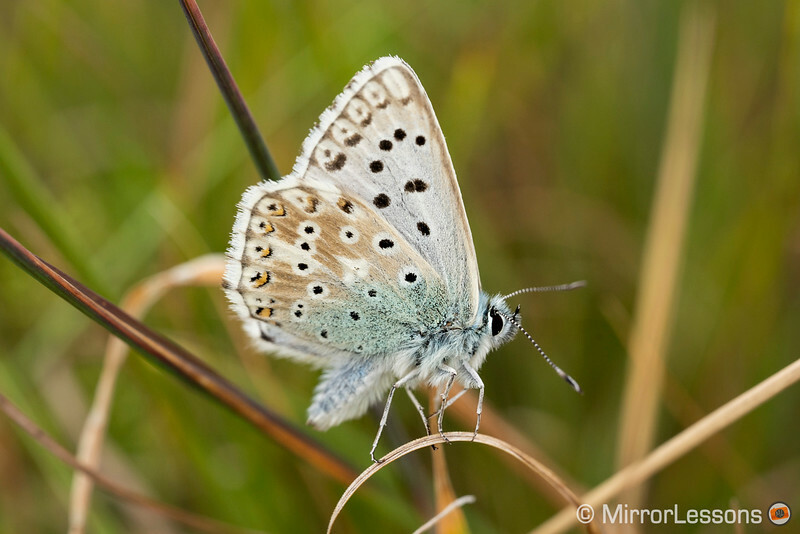 What makes it such an appealing spot for butterflies is the extensive limestone grasslands combined with the herb-rich flora, low scrub and sheltered valleys. 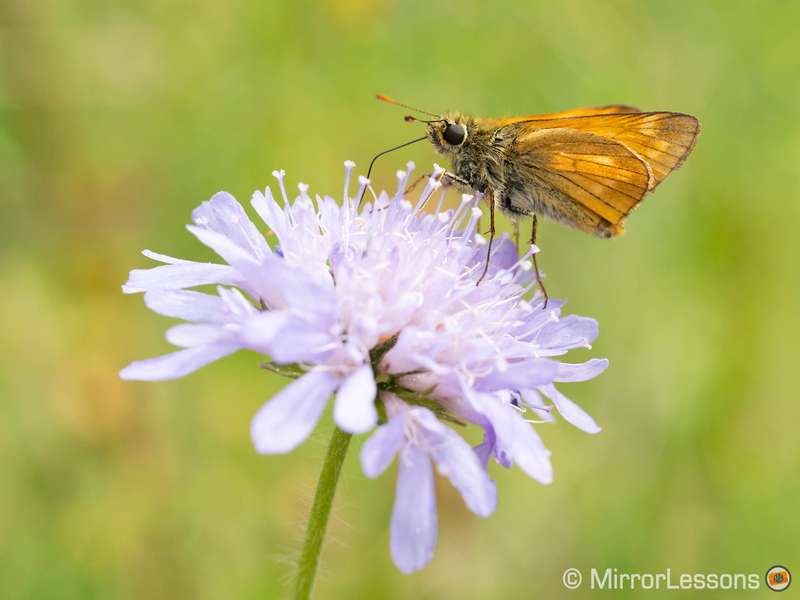 Even nationally threatened species such as the Duke of Burgundy can be found in relative abundance here at the right time of year. 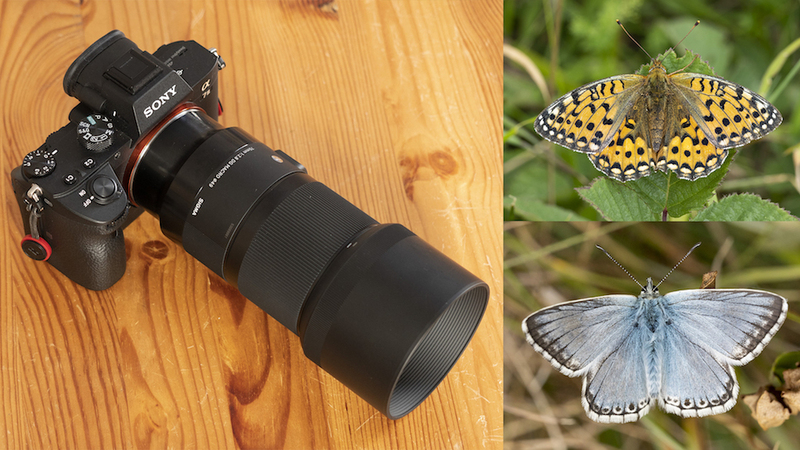 Whenever we visit butterfly sites, I usually end up using the M.Zuiko 60mm f/2.8 Macro on one of our Micro Four Thirds bodies but on this occasion, we had not one but two copies of the new Sigma 70mm f/2.8 Macro – one for E-mount and the other for Canon with the Sigma MC-11 E-mount adapter – to use on the Sony A7 III and A7r III. Once parked in a lay-by, we hopped over a stile and entered a large open field from which Cheltenham and much of Gloucestershire sprawled out before us like a borderless map. 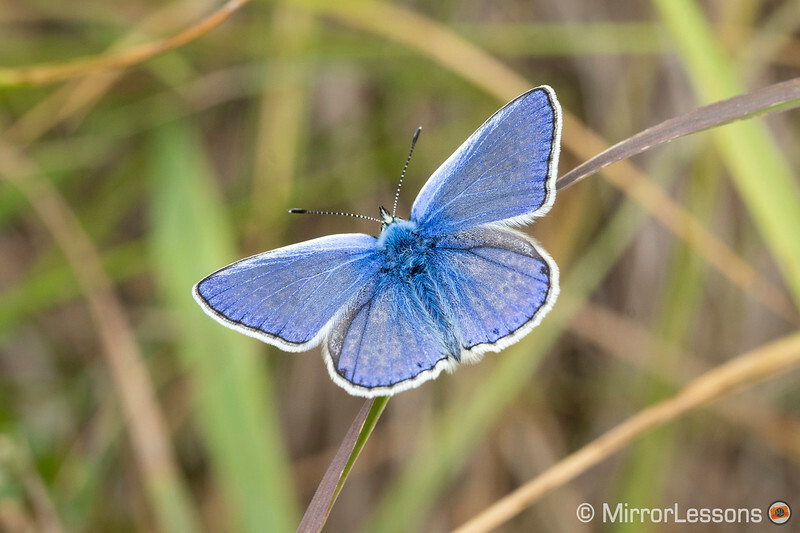 At first, we couldn’t see very much wildlife at all but a quick stroll through the grass roused a number of resting butterflies, including one of our bucket list species, the Chalk Hill Blue. Thankfully they weren’t as active as I’d anticipated, probably due to the cloudy and breezy conditions up on the hill, so we were able to take a few good shots of them from above and the side. 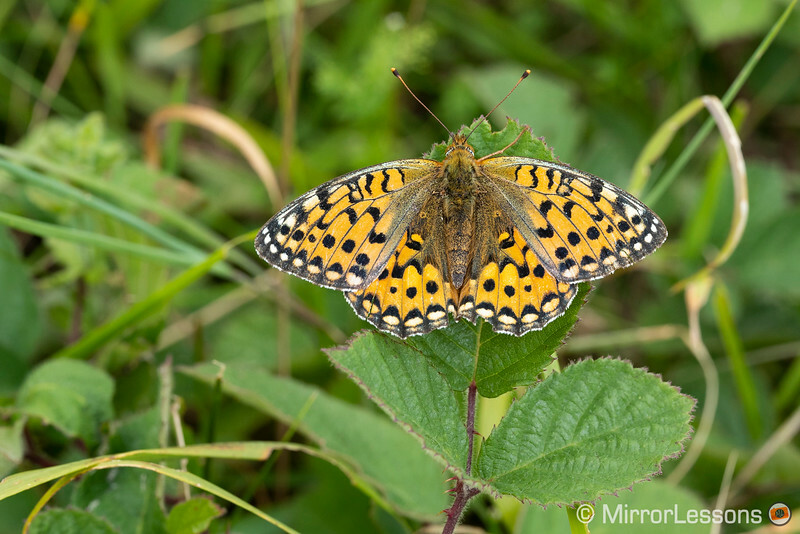 Another chance encounter was with the Dark Green Fritillary which obligingly settled on a leaf for a few minutes before rapidly darting off and disappearing over the edge of the hill. 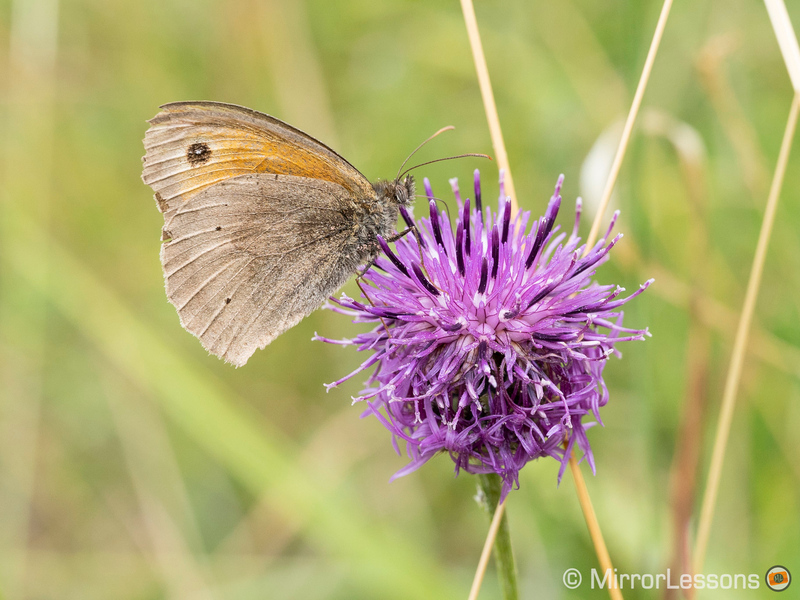 Closer to the scrubland we found the Meadow Brown and Small Skipper feeding on thistles and Devil’s Bit Scabious and a sprightly Marbled White which flitted away just seconds after we photographed it. 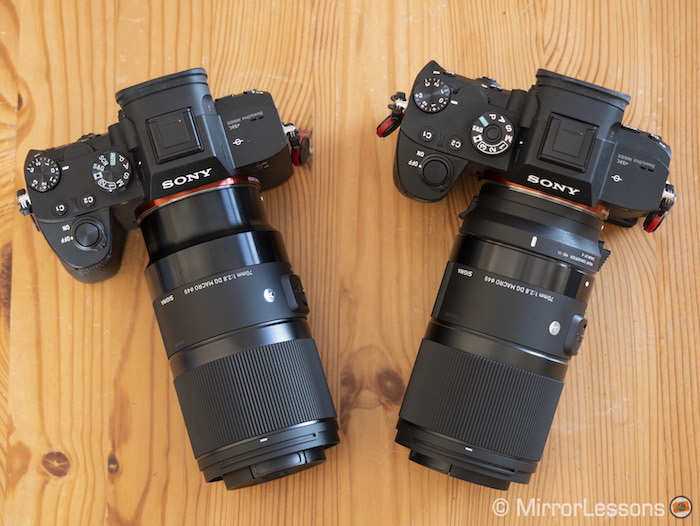 Overall we enjoyed using the Sigma 70mm on both cameras. 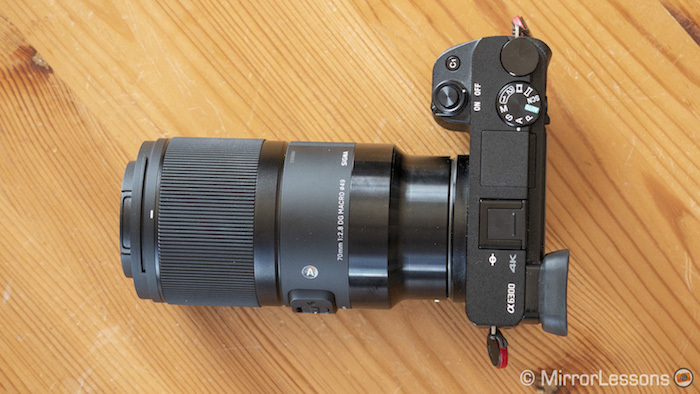 We did notice that the Canon version with the adapter was slower to focus than the native E-mount version and would sometimes fail to focus properly if we quickly fired one shot after another. But in all honesty, neither version is lightning fast. 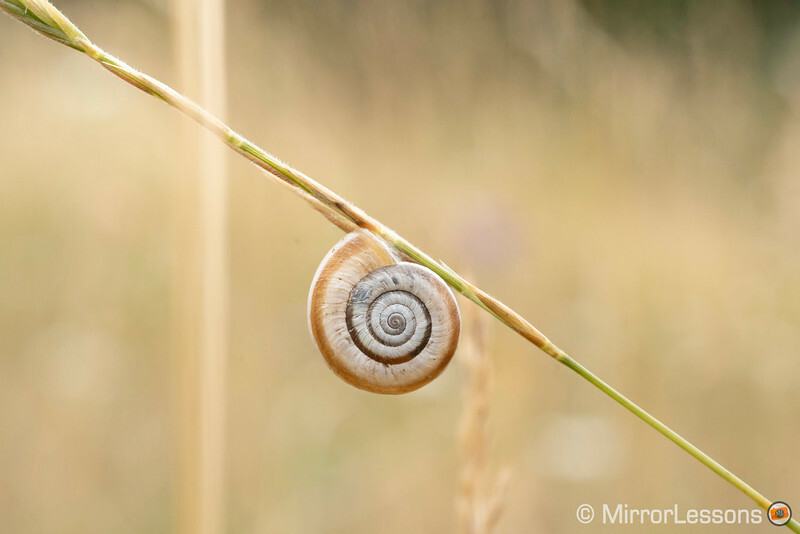 If the subject you’re shooting is immobile such as the snail below, switching over to manual focus mode and moving your body back and forth to find the right focus point can be even more effective than autofocus in some cases. 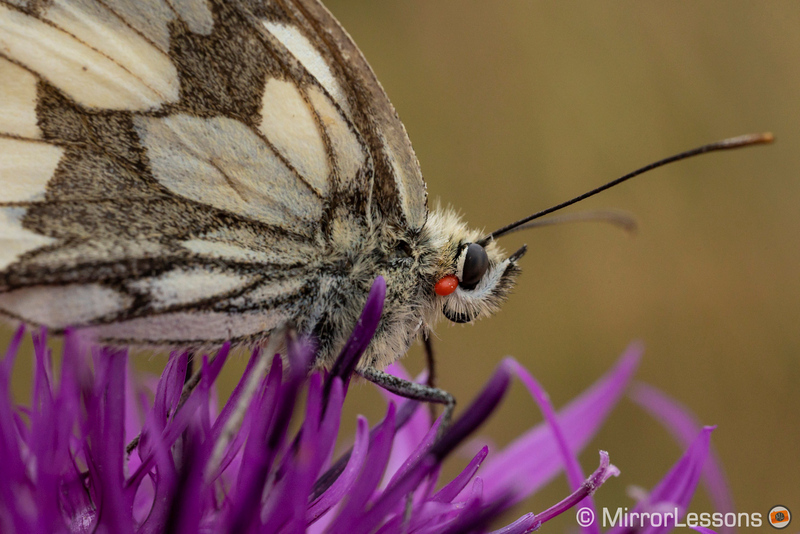 Initially I was concerned about the focal length since I’m used to working with the M.Zuiko 60mm macro (equivalent of 120mm in 35mm format) but because these particular butterflies let us get very close, it wasn’t an issue. 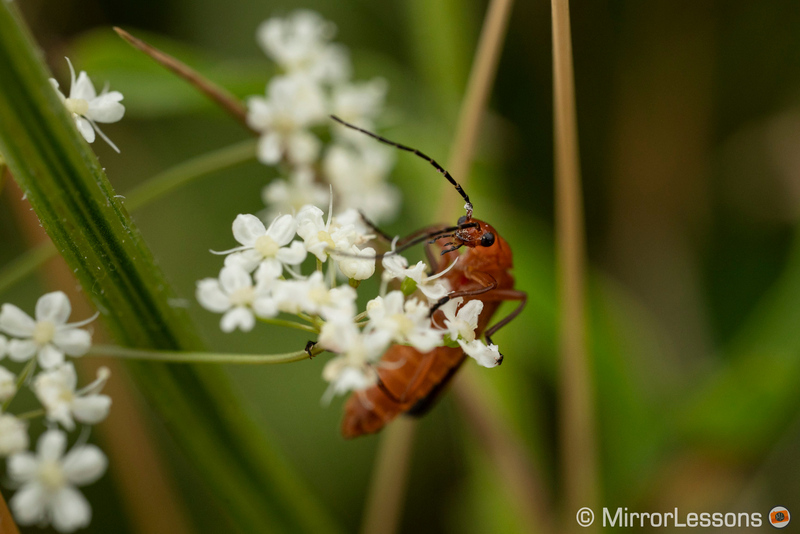 For more skittish insects, 70mm might feel somewhat short on a full-frame camera. An aspect I really enjoyed about the 70mm was the plethora of manual controls on the body. 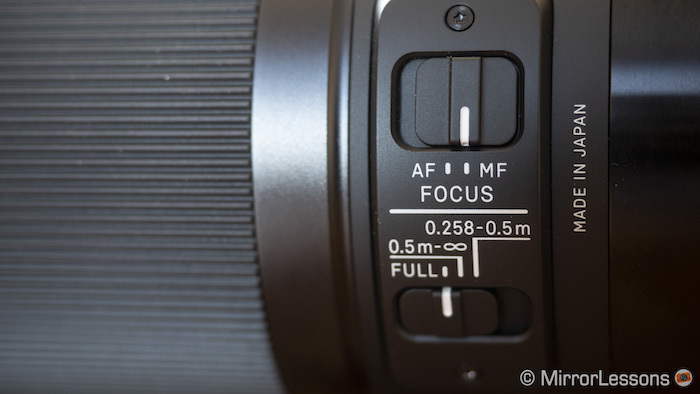 In addition to the smooth focus ring, it is complete with an AF/MF switch, a focus limiter which I found myself using all the time and a precise distance scale on the part of the lens that extends from the body as you magnify. Only the mount is dust and splash proof so it is best to avoid using it in anything more than a light shower. 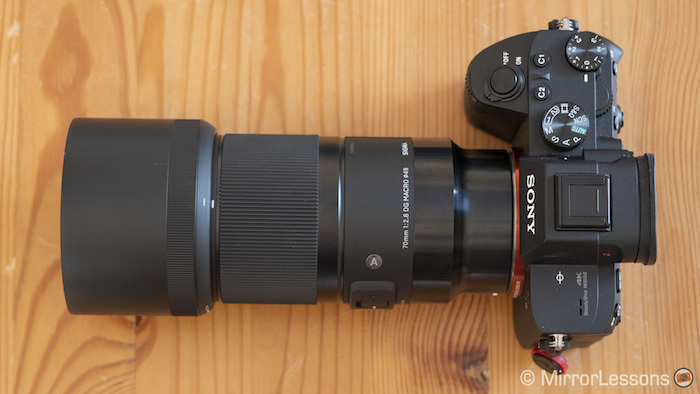 It is also the perfect size and weight for the A7 series (105.8mm in length and 515g) and unlike the Sony 90mm macro, doesn’t overwhelm the smaller a6000 series cameras. 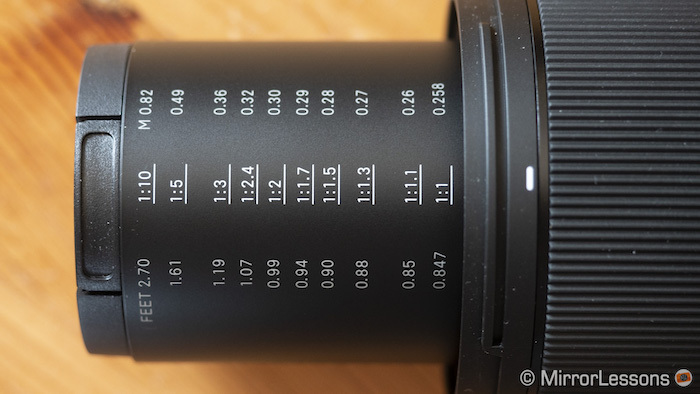 The provided lens hood increases the length of the lens but you can reverse it over the barrel when not in use. 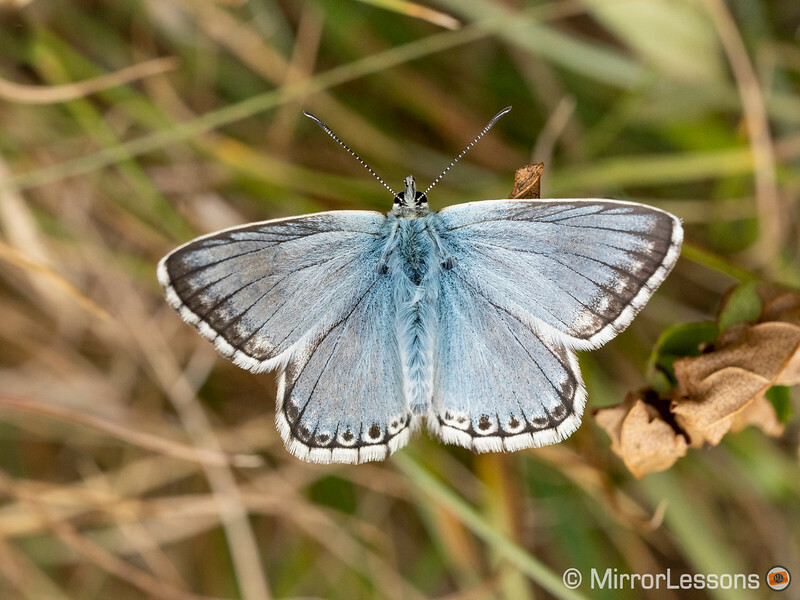 As for sharpness, we haven’t yet had the chance to perform an in-house test on a tripod but from what we can see from our hand-held shots of the butterflies and other subjects we’ve photographed so far, it is excellent through the aperture range at close and long distances. 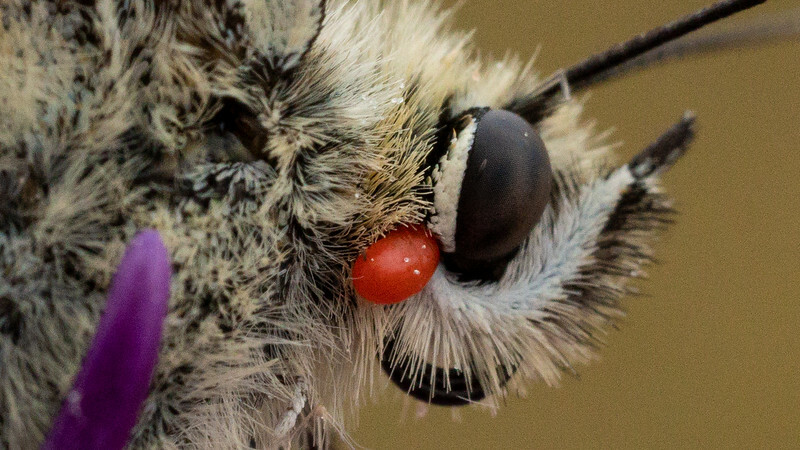 If you look at the crop below for example, you can see the detail in the butterfly’s eye even though the shot was taken at 1600 ISO. 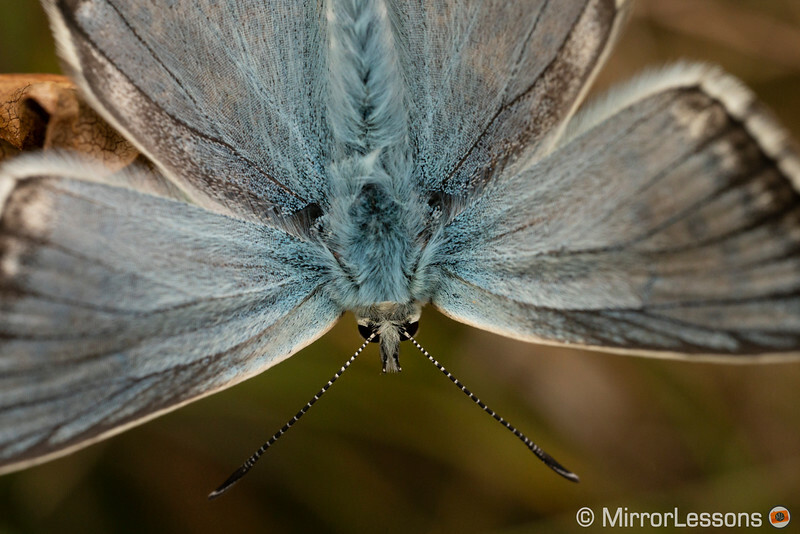 Do you own a macro lens for your camera? If so, what kind of subjects do you enjoy shooting? Let us know in the comment section below!